Here's another incredible surprise I received for Christmas— the official Disney Parks MU baseball cap!! This item has been sold out for quite a while and, as of right now, there is just one on eBay selling for $100. I don't know how much my parents spent but I hope it wasn't that much! Pretty crazy, I had no idea it ended up getting that rare. Me Christmas morning (2013) just having opened my MU hat! 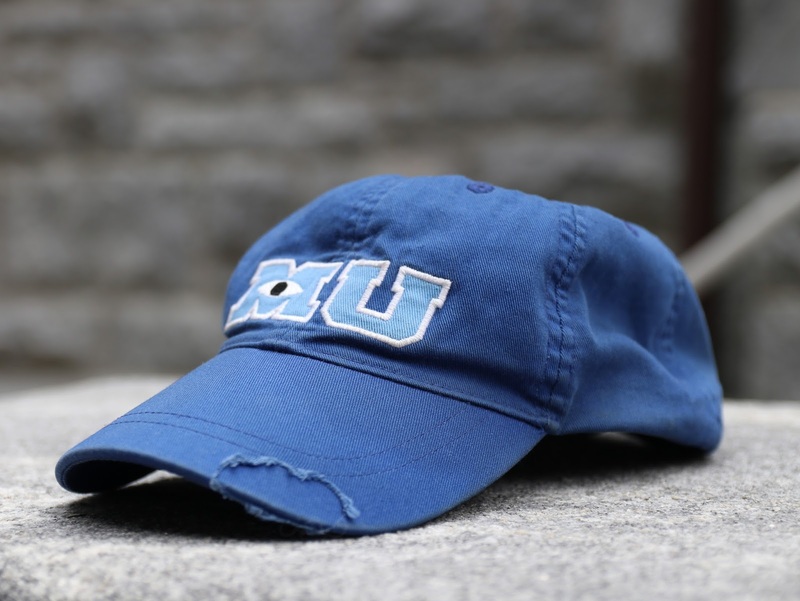 There have have been [essentially] three official MU hats produced. One was available online at the MU "campus store" back during the film's marketing campaign, one that was available only at Pixar Studios for the MU press event (which I hear is the best quality one made) and then there's this one which was only available at Disney Parks. The main difference compared to the other two is that this one (the Park's version) has Mike's signature wear and tear in the corner of the bill (as seen in my pic above) while the campus store and press event versions were not distressed. This is my personal favorite version, but what do you think? I love the way this one fits and I love the little tear (since that's how it is in the film). This is for sure my favorite hat; I wear it ALL the time. I love it! Let me know your thoughts in the comment section below. UPDATE 5/08/17: A new version of this hat has been released and is now the most popular hat at Disney World/Land! When I visited there recently, just about everywhere I looked I would see at least one person wearing it (not an even an exaggeration). It is a little different from the the one I have here (I heard this original one is better), but it's very close. You can buy the new version on the ShopDisney site HERE or in the parks. Wow, I had no idea they'd be so rare - I picked one of them up at DisneyLand when I was there but decided against it since I already had the version from the "fake" Monsters University site and then also had the version from the Monsters U press event at Pixar (yup, a third version). The press event hat didn't have the wear and tear either, but the hat quality is the highest itself (material, logo and stitching). yah me either! I didn't know till I just checked on eBay and saw how much it was selling for! Thanks for letting me know about the press event version. I'll had that to the post! 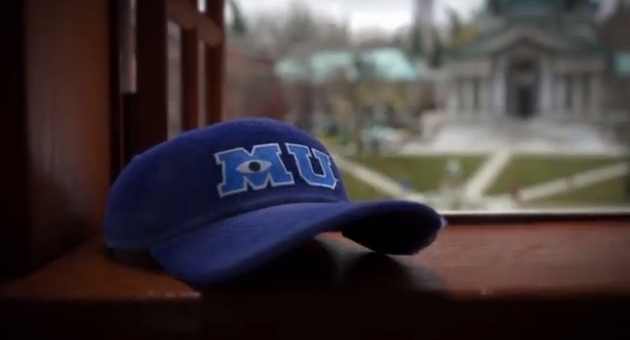 It's funny, I think when I wanted an MU hat was when I saw you wearing it during your MU review vid on youtube back in April. That video was when I basically first found you both and became a huge fan! Wow, that's a cool little tidbit! Thanks!